Campaign pieces found below entry information. Develop and launch an Advocacy in Action campaign to redefine the purpose and benefits of Chamber's Advocacy programs. Create new messaging to elevate the perception of Chamber's thought leadership in the area of advocacy, and the value it brings to membership. Share the message using print, digital and video platforms to encourage more members from across industries and business sizes to maximize advocacy opportunities and evangelize to others about the value they receive. In 2018, the West Coast Chamber launched a brand awareness campaign to share key messages with the community and raise the organization's top of mind awareness. At a high level, our four key deliverables to our members are connecting, promoting, educating and advocating. A survey and focus group study revealed that the Chamber needed to develop a clearer point of view what "Advocacy" means as it relates to our Chamber, and that once developed, that story needed to be shared clearly and consistently. Advocacy at the West Coast Chamber is two pronged. 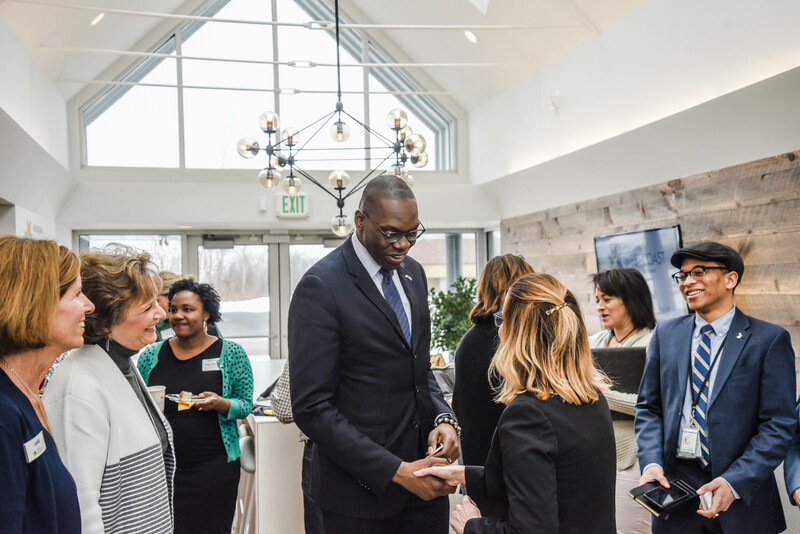 It is about creating opportunities for our members to connect with policy makers at all levels of government, and also about facilitating conversations about key community and business issues so that all members have the opportunity to learn and to be heard. 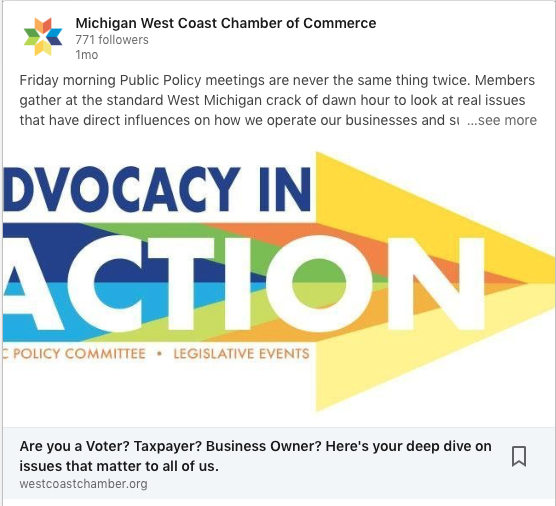 As a Chamber that is not tasked with endorsing candidates (per Board bylaws) or lobbying on legislation, the goal of the campaign's message was to take the "politics" out of it, and redefine the common perception of "advocacy" in those terms. The campaign has elevated the Chamber's advocacy profile in the business community by positioning our Chamber as a resource for businesses and non-profits to discuss community-wide and industry-wide issues, as an opportunity for business leaders to communicate key details on issues with the people who make policy, also as a resource for elected officials to connect with local constituents. 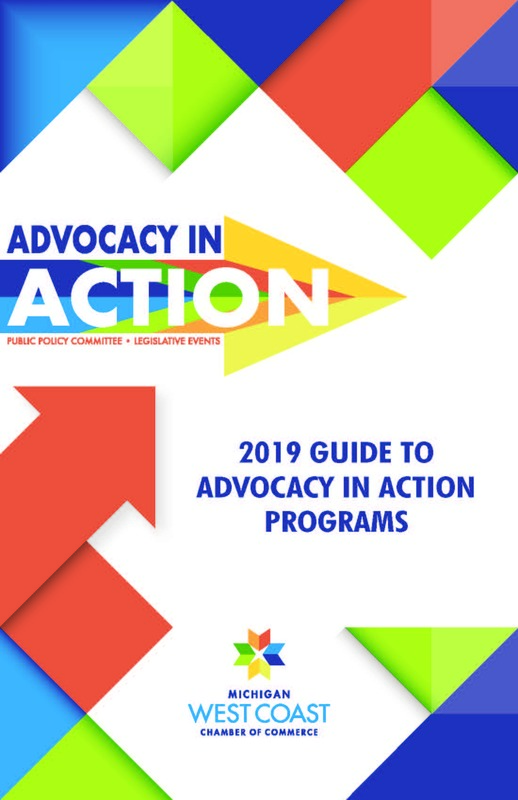 Our Advocacy in Action Guide Booklet is distributed at all advocacy events, and members routinely request additional copies. Our local media use it as a reference guide for their legislative beat. 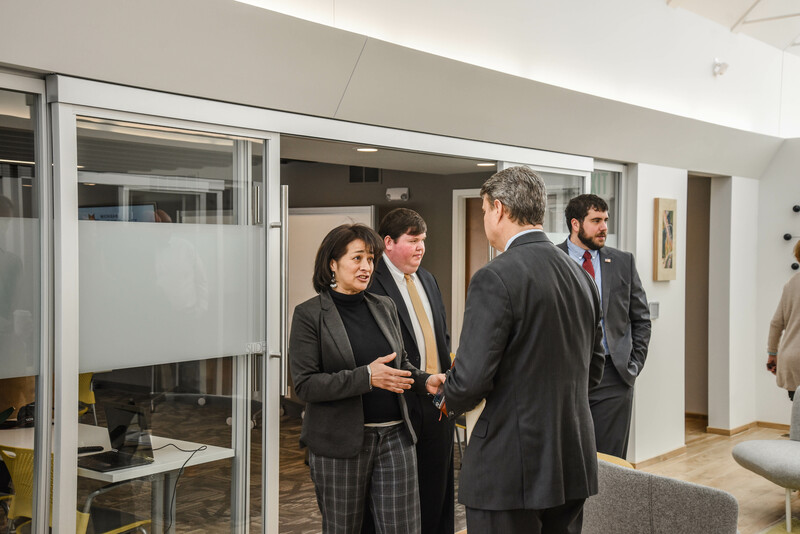 As a direct result of the Chamber Insider Blog, the Chamber received requests from Congressman Bill Huizenga to submit the piece to the local newspaper and asked to use it in their own advocacy messaging. It was also circulated to key business leaders, who participated in a Trade and Tariffs Roundtable with the congressman. The Chamber is now a go-to resource for elected officials when they are seeking opportunities to connects with key constituents. 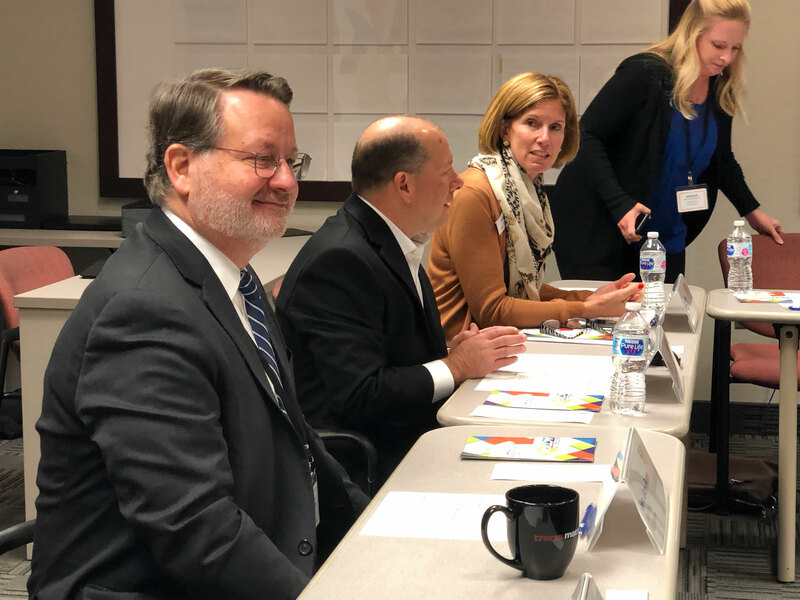 In addition to our monthly opportunities to connect with our state elected officials, we've convened meetings with Senator Gary Peters (who had not attended a Chamber event since coming to office), Congressman Fed Upton, Congressman Huizenga, and Michigan Lt. 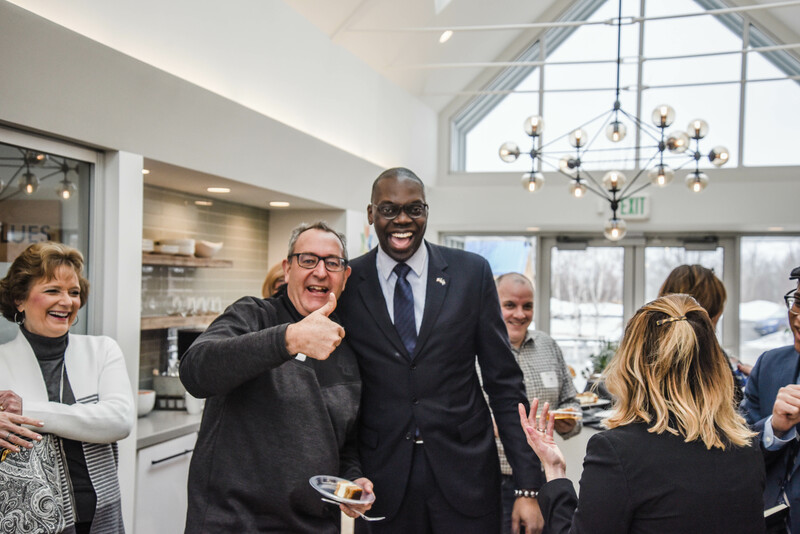 Governor Garlin Gilchrist, all within the span of 90 days. All outcomes of advocacy events and discussions are reported out to members in the blog on our website, in email communications and in our monthly magazine, Connect. Fed from emails and organic searches, the blog receives 200+ hits on our website each month since its creation in December of 2018. Members now turn to the Chamber blog as their first resource for information on upcoming elections, new legislation, and community issues. We've reached the broader community with our advocacy video, that plays on social media, youtube and our website. This video communicates how members ranging from public to private to non-profit take advantage of the Chamber's advocacy opportunities. Whereas roundtables are specifically targeted events, and policy and governmental events have a larger following, the video is able to connect with members who we most needed to reorient to the benefits of the West Coast Chamber Advocacy programs. 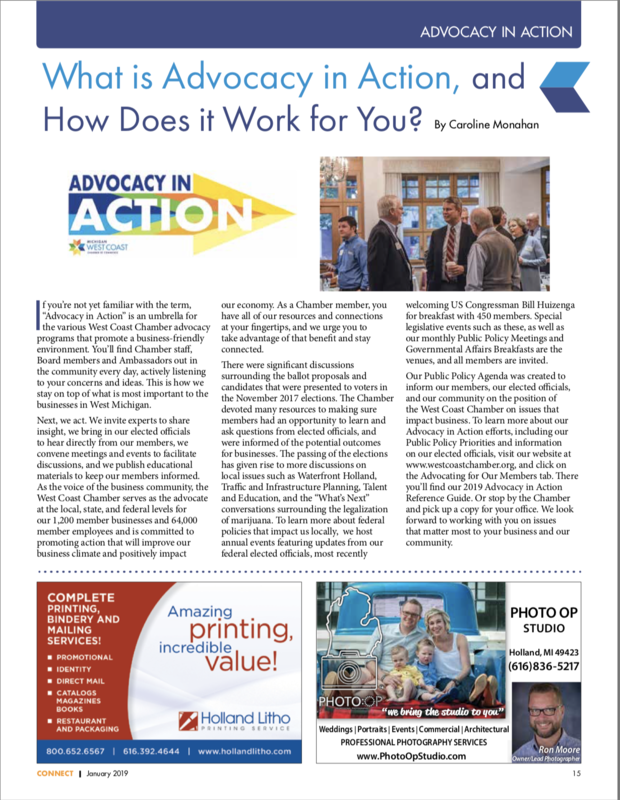 The "Advocacy in Action" campaign launched with a print piece, delivered to 550 guests at a legislative breakfast with US Congressman Bill Huizenga. This guide is also available on our website. At this same event, the Advocacy long from video, featuring heads of businesses and nonprofits, was premiered. That long form video is also used on Facebook. Additional short form interview video is used on both Facebook and Instagram. Due to its content focus, LinkedIn is the primary social media platform to share the blog. 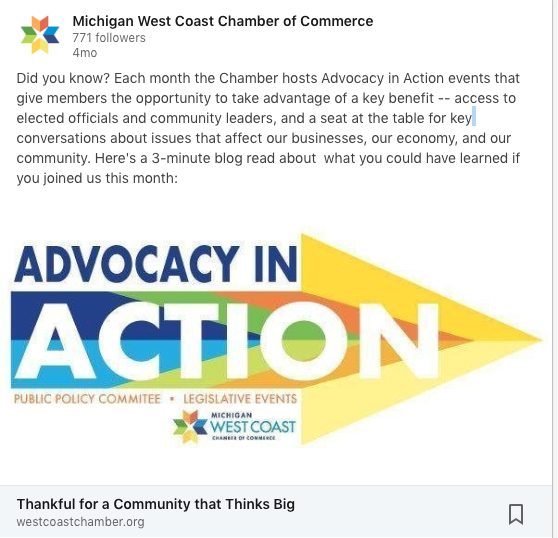 Our website is a host for the blog (https://www.westcoastchamber.org/publiclayout-blog) and the long form video (https://www.westcoastchamber.org/advocacy). 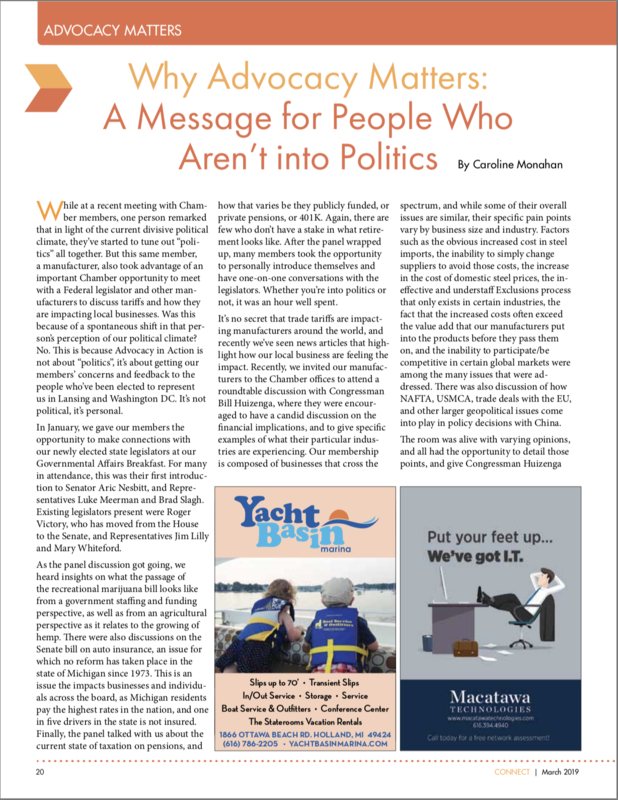 Our monthly magazine, Connect, contains an Advocacy update with the same messaging. 2,500 copies are printed each month and mailed to primary representatives, distributed at events, and made available at locations throughout our community. Email marketing is a primary conveyor of the blog articles, which are sent to 5,500 people weekly. Newspaper was utilized for OpEd Advocacy updates. A new logo was developed to serve as an umbrella for all Chamber Advocacy programs, and to launch the name of the "Advocacy in Action" campaign. Why is this Award Winning? The campaign is award winning for several reasons. As a Chamber that is does not actively participate in political campaigns, the Chamber's advocacy efforts had gone underrepresented in our reporting and in our marketing. Our Chamber does not have a dedicated Advocacy staff/person and the story of the impact of our advocacy was going untold. With a staff of only eight people, staff time is a valuable resource, and this campaign required dedicating an existing staff person to curating and reporting, and to coordinating the messaging and strategy of the campaign. It was an intentional shift of staff resources. This is also award winning because of the significant resources invested in hiring an outside firm to study the perception of the Chamber's Advocacy programs. This firm also created the video with the redefined message that makes advocacy accessible to members who would not have considered advocacy to be an important benefit for them. 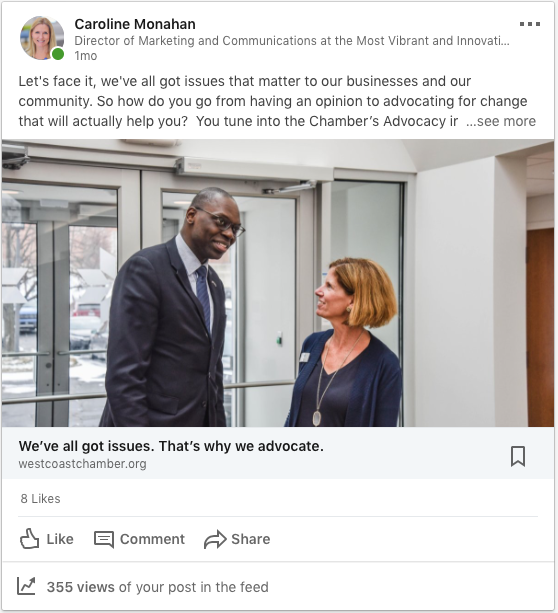 The messaging crafted to reframe "advocacy" in terms of our Chamber's strength as a convener and connector is also award winning. For members more concerned with ROI, the value of having an advocate for the business community might seem irrelevant or intangible. With this campaign, we were able to make advocacy relevant to members of all sizes by focusing on issues that matter to their business and their community. A popular blog post was "Why Advocacy Matters: A Message for People Who Aren't into Politics." This theme is pervasive in the campaign and resonates with members and government officials alike. The quality of the published materials is award winning, both from a design and editorial standpoint. The voice and look are consistent and on theme from booklet to blog to magazine to logo. This branding is also consistent in social media usage. Most award winning is the way that this campaign built and reinforced relationships between our Chamber and elected officials, and between our members and elected officials. In a predominantly Republican area, Democratic Senators are now attending events that they had previously not and asking us to convene roundtables with our members. 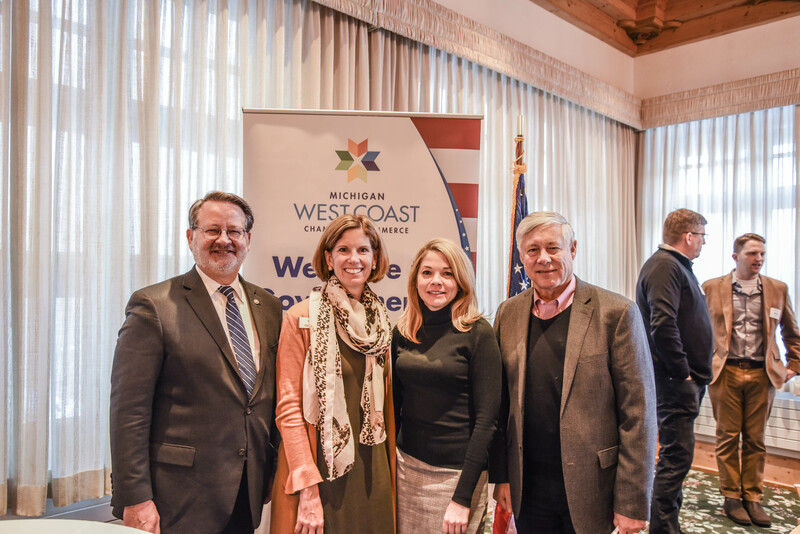 When a new governor was elected to the State of Michigan, one of the first calls the new administration made was to the West Coast Chamber, asking us to convene a meeting so they could meet our members. Blog Post: "Thankful for a Community that Thinks Big"
Thanksgiving is arguably the best of all holidays. It’s about family and friends and neighbors. It’s not about giving the perfect gift, or dressing up in the most innovative costume, or delivering an epic romantic gesture. It’s about celebrating the blessings in our lives. Of course, it’s also about food. Lots of food. At the Chamber, it’s easy for us to point to the numerous businesses and employees that we see doing great things in our community. We have the privilege of partnering with hard working, innovative, generous, creative, dedicated Chamber members every day. Here’s a birds eye view of some of the things to be grateful for around here (Tip: If you attend any of our Advocacy in Action events, you're already in the loop on this). Members who attend our Public Policy Committee meetings (which are open to all members, by the way) have been staying in the loop on the progress of the Waterfront Holland project. This long range planning process is a fascinating look at the different pockets of neighborhoods that border Lake Macatawa, and how planners are taking a holistic approach to where our waterfront is headed. It’s more than the JDY property. This community’s downtown evolution is a result of this same type of careful deliberation and planning. It’s not about instant gratification. It’s anticipating the needs of our area (commercial, housing, recreation, environmental) for future generations, and implementing slowly to allow community adaptation and adjustments as needed. It’s visionary. Another thing we learned about at our most recent Advocacy in Action events (Legislative and Public Policy events fall into the Advocacy in Action category) is the results of MACC’s traffic study. Whether you’re a civil engineer or not, this is relevant stuff. It’s another example of how our community leaders are looking at ways to improve quality of life. A concept that was presented is that of creating “Complete Streets.” It’s looking at roadway uses for users other than cars, and making sure that our roads serve pedestrians, cyclists, mass transit vehicles and commercial trucks equally, in the areas that most need to serve those populations. Things like one way streets, cross walks and bike lanes are discussed. Roundabouts always come up. They’re coming! Join us at the next Public Policy meeting to stay up to date. At this week’s Governmental Affairs Breakfast, we invited a panel of school Superintendents to discuss talent development. This is a pain point for so many employers around here, and this conversation focused on how the schools are feeling the talent crunch as much as everyone else. Education as we know if from our youth is an entirely different creature now, and schools need teachers prepared for the diverse learning strategies that set the children of today (and tomorrow) up for success. Shannon Brunink (Black River School), Brian Davis (Holland Public Schools), Cal DeKuiper (Zeeland Public Schools), Dave Tebo (Hamilton Schools), Tim Travis (Saugatuck Public Schools) and Doug VanderJagt (Hudsonville Public Schools) were all there to help our members learn and understand, and to answer questions. Across the board, these educators reflect a passion for education and for the best opportunities for the children in our community. It’s definitely something to be grateful for. Now that Michiganders have passed the recreational marijuana proposal, making it legal in the state, our members have been reaching out to ask "what's next? ", and we scheduled a special public policy luncheon to address the issue. The Chamber Lerning Lab was full as members from a variety of different industries and business in both the public and private sectors came together to hear an update. Don Lawless from Barnes and Thornburg walked us through the finer details of what the initiative contains. He also looked at the relationship between a drug that's legal in Michigan but illegal on the federal level, and gave examples of how other states are interpreting and managing legalized marijuana, both for medicial and recreational uses. Finally he shared best practices and policies, particularly as they relate to OSHA, unionized employers, unemployment benefits, and the ADA. Getting handle on the rights of our employers impacts all of our members, and this is just the start of many more conversations to come on this issue. Those are just a few of the interesting things that we learned about this week. They are all important issues in our community, and the Chamber is the place to keep up to speed with projects and programs, and to have the opportunity to voice your opinion. Don’t panic if you weren’t in attendance this past week! These opportunities are available to our members on an ongoing basis. In December, it's our Breakfast with our Congressman - Representative Bill Huizenga event on December 17. Most months there are at least two Advocacy in Action events, and we invite you to join us and stay connected. There are a lot of great things going on in this amazing place where we all live, work and play. We’re grateful. 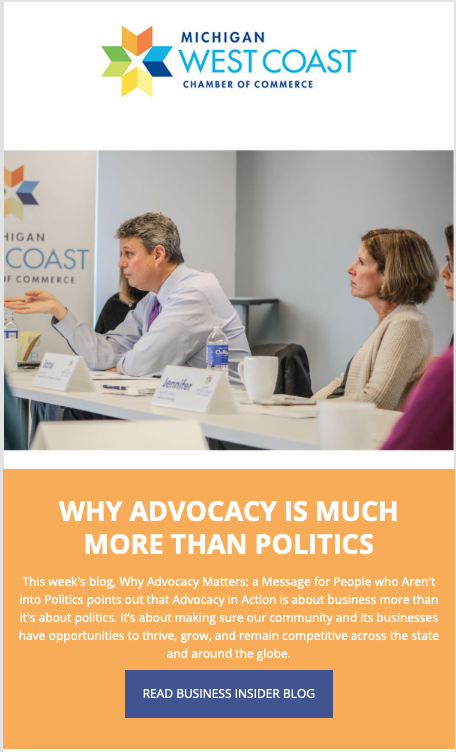 Blog Post: "Why Advocacy Matters: A Message for People Who Aren't Into Politics"
While at a meeting with Chamber members this week, one person remarked that in light of the current divisive political climate, they’ve started to tune out “politics” all together. Maybe you’ve heard similar remarks around the water cooler or seen them on social media. 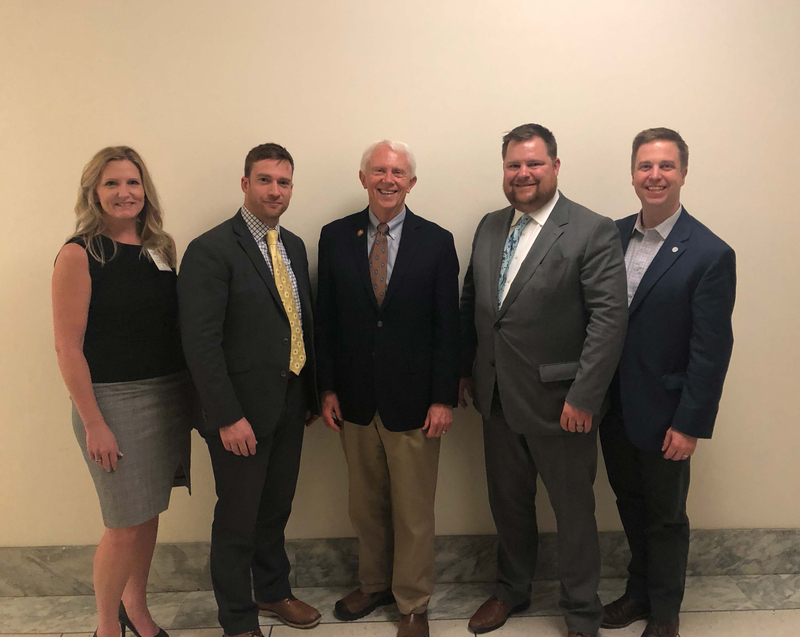 But this same member, a manufacturer, also took advantage of an important opportunity this week to meet with a Federal legislator and other manufacturers to discuss tariffs and how they are impacting local businesses. Was this because of a spontaneous shift in that person’s perception of our political climate? No. 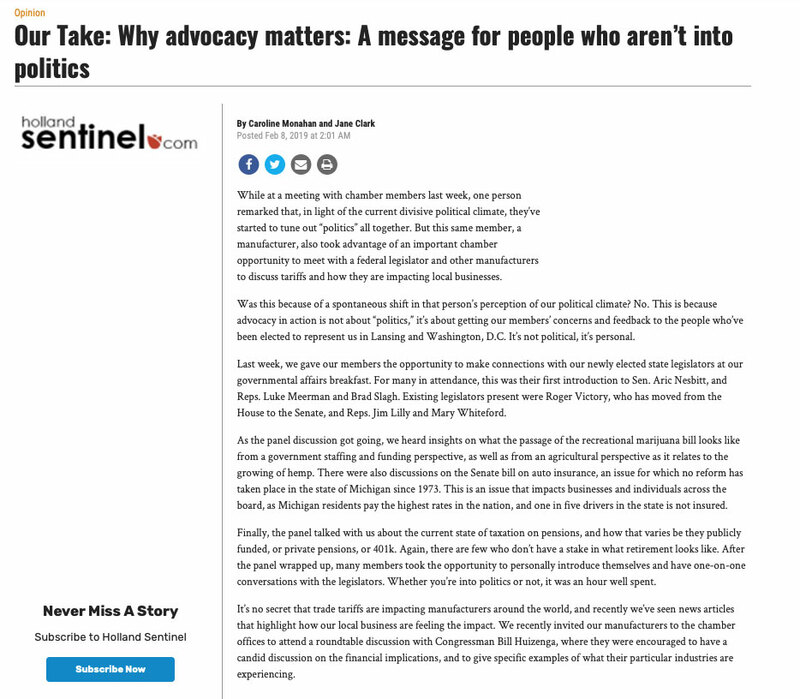 This is because Advocacy in Action is not about “politics”, it’s about getting our members’ concerns and feedback to the people who’ve been elected to represent us in Lansing and Washington DC. It’s not political, it’s personal. When we talk about “connecting” people, the first image that may come to mind is a networking event. 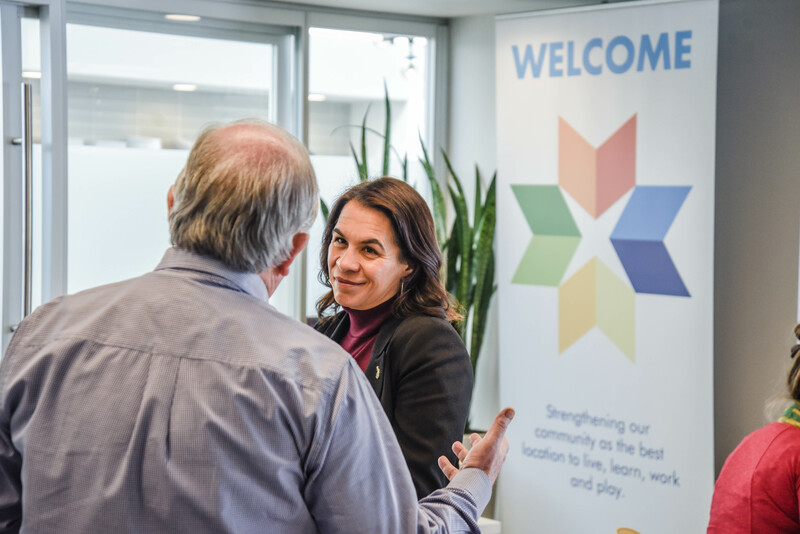 While the Chamber certainly has ample networking opportunities for businesses of all shapes and sizes, our idea of “connecting” is broader than that. 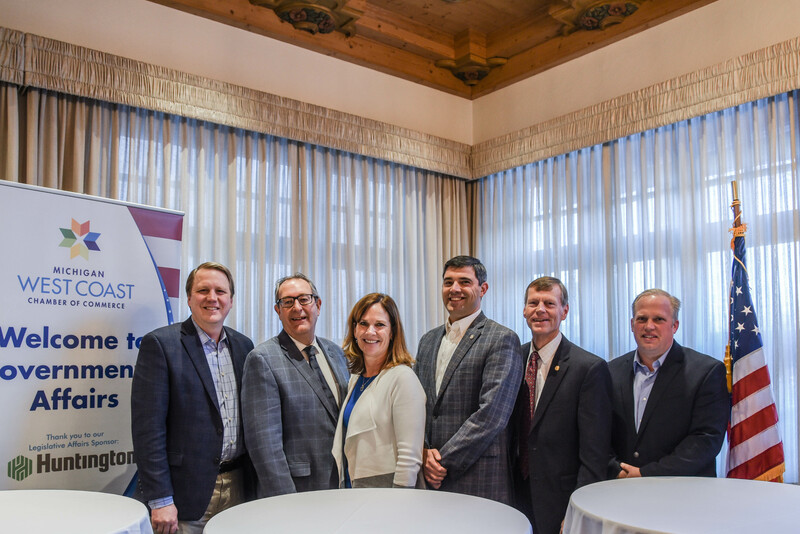 This week we gave our members the opportunity to make connections with our newly elected state legislators at our Governmental Affairs Breakfast. For many in attendance, this was their first introduction to Senator Aric Nesbitt, and Representatives Luke Meerman and Brad Slagh. Existing legislators present were Roger Victory, who has moved from the House to the Senate, and Representatives Jim Lilly and Mary Whiteford. As the panel discussion got going, we heard insights on what the passage of the recreational marijuana bill looks like from a government staffing and funding perspective, as well as from an agricultural perspective as it relates to the growing of hemp. There were also discussions on the Senate bill on auto insurance, an issue for which no reform has taken place in the state of Michigan since 1973. This is an issue the impacts businesses and individuals across the board, as Michigan residents pay the highest rates in the nation, and one in five drivers in the state is not insured. Finally, the panel talked with us about the current state of taxation on pensions, and how that varies be they publicly funded, or private pensions, or 401K. Again, there are few who don’t have a stake in what retirement looks like. After the panel wrapped up, many members took the opportunity to personally introduce themselves and have one-on-one conversations with the legislators. Whether you’re into politics or not, it was an hour well spent. It’s no secret that trade tariffs are impacting manufacturers around the world, and recently we’ve seen news articles that highlight how our local business are feeling the impact. 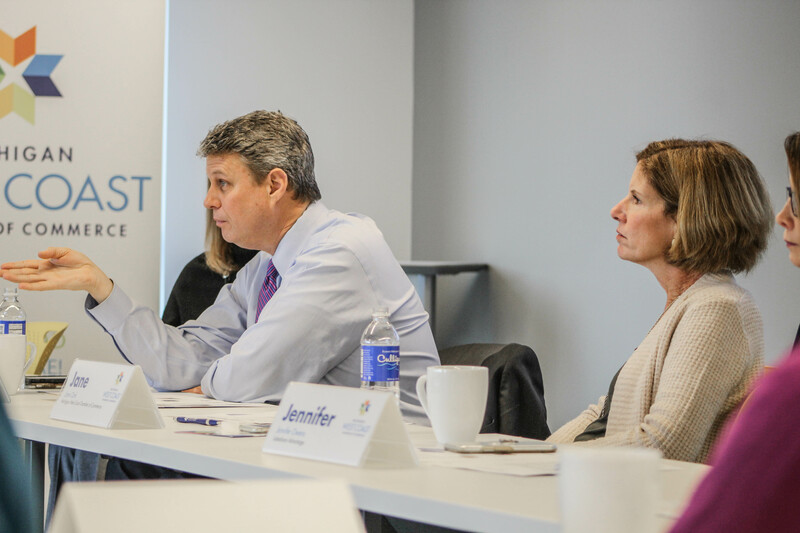 This week we invited our manufacturers to the Chamber offices to attend a roundtable discussion with Congressman Bill Huizenga, where they were encouraged to have a candid discussion on the financial implications, and to give specific examples of what their particular industries are experiencing. Our membership is composed of businesses that cross the spectrum from “David to Goliath” (as one member remarked), and while some of their overall issues are similar, their specific pain points vary by business size and industry. Factors such as the obvious increased cost in steel imports, the inability to simply change suppliers to avoid those costs, the increase in the cost of domestic steel prices, the ineffective and understaffed Exclusions process that only exists in certain industries, the fact that the increased costs often exceed the value add that our manufacturers put into the products before they pass them on, and the inability to participate/be competitive in certain global markets were among the many issues that were addressed. There was also discussion of how NAFTA, USMCA, trade deals with the EU, and other larger geopolitical issues come into play in policy decisions with China. 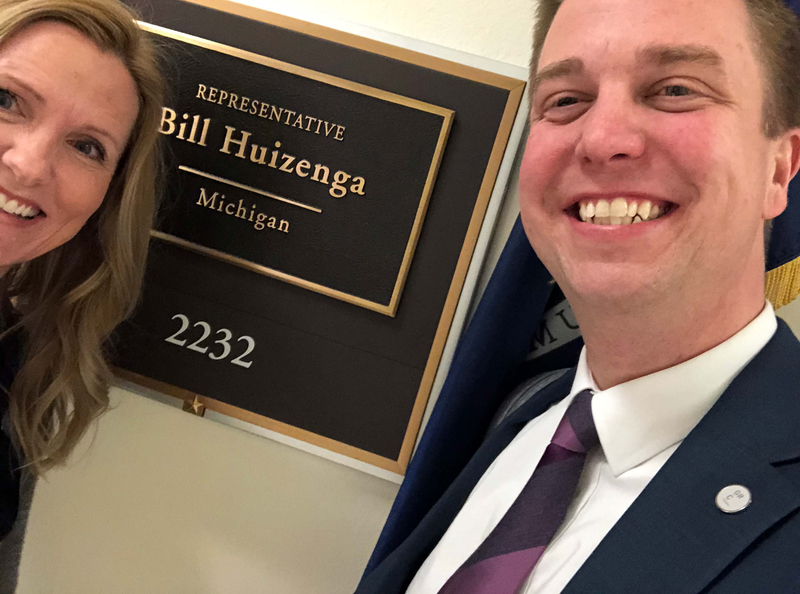 The room was alive with varying opinions, and all had the opportunity to detail those points, and give Congressman Huizenga a clear picture of the message he needs to deliver in Washington. Huizenga staffers Matt Kooiman and Palmer Rafferty were also present to make connections with members. 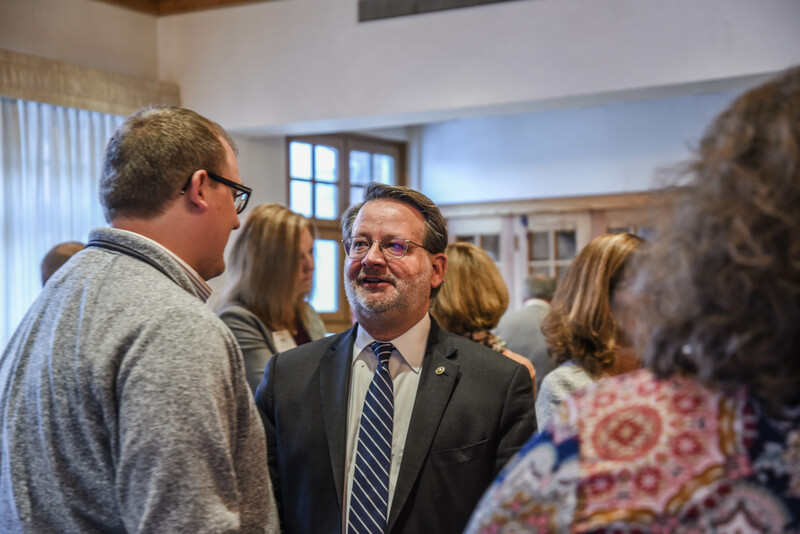 Matt is based on West Michigan and a regular attendee of Governmental Affairs Breakfasts and is a good person to meet if you’d like to connect with the Congressman. A universal statement that came out of the roundtable discussion is that businesses need to continue to do business, regardless of the current political issues/agenda, and that however painful it is right now, there will be resolution to the issue at some point. In the meantime, these types of discussion opportunities are what’s needed to bring specific issues to light so they can be relayed to Congress, along with recommendations on how to relieve some of the pressure on manufacturers. These two events are clear examples of how Advocacy is about business more than it is about politics. It’s about making sure our community and its businesses have opportunities to thrive, grow, and remain competitive across the state and around the globe. It’s also about giving every employee of every member business the opportunity to speak their mind on issues that matter, in forums where the message will be heard by the people we’ve elected to represent us. Have something on your mind? Join us at the next Public Policy meeting or our next Governmental Affairs Breakfast. We have them every month, and all are welcome. Blog Post: "We've All Got Issues. That's Why We Advocate." We’re all advocates for something. Whether its fund raising for your cause, asking for that raise, or speaking up on behalf of your children, we’re all inspired by issues that motivate us into action. When you think about our community and the businesses that drive our economy, you can likely think of any number of issues that matter to you; issues about which you have an opinion or experience to share. How do you go from having an opinion to advocating for change that will actually help you? You tune into the Chamber’s Advocacy in Action events, where you can discuss your issues with policymakers face-to-face. Earlier this week, we had a visit from Michigan’s new Lt. 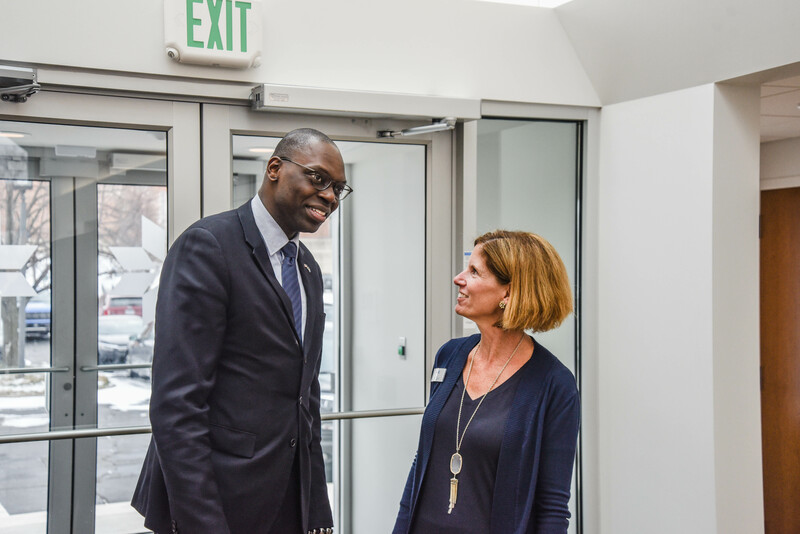 Governor, Garlin Gilchrist II, and members were invited to meet him. At that event, a Chamber member remarked that the frequent changes in policies on paid sick leave put them in a position of spending time and resources re-adapting over and over, and that businesses would appreciate some consistency. The member wasn’t lobbying for one position or another but stating that we expect our legislators to work it out and ease the burden of constantly adjusting in order to remain compliant. That’s advocacy in action. It’s a perspective that is shared by a lot of business owners and it is important to voice it to our elected officials. Following breakfast, members participated in a smaller roundtable conversation with Senator Peters. 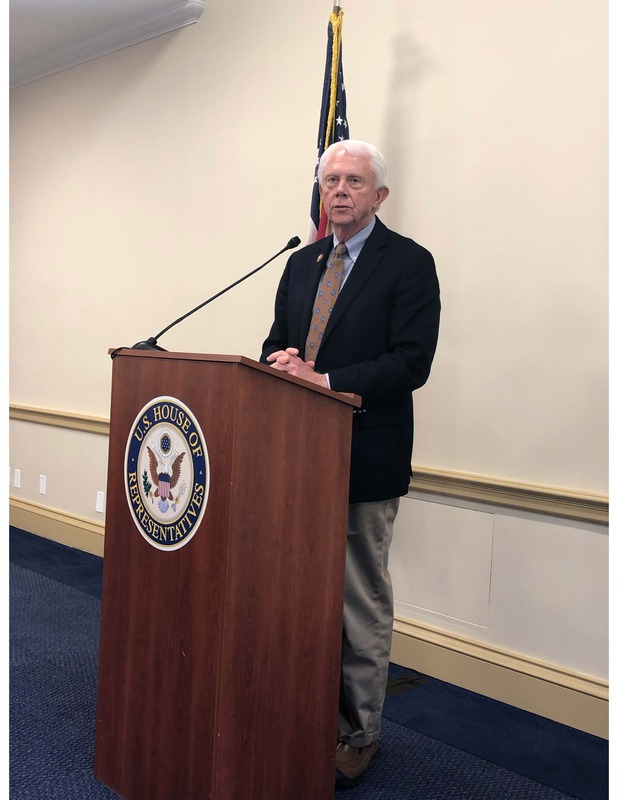 Transmatic’s PJ Thompson facilitated the event and started the discussion on the topic of steel tariffs, asking Chamber members around the table to share their specific experiences and pain points with the Senator. This topic readily leads to conversations about the impact of trade policies, which extends well beyond issues with steel tariffs, as indicated by a member in the agriculture industry who produces and exports biofuel. Our members operate in a global economy and understanding the breadth of the impact of trade policies is important for our legislators to understand and communicate back in Washington. This Advocacy roundtable brought together members from across industries. Other important issues discussed with the Senator were healthcare reform, infrastructure as it relates to broadband and access to the internet, the implications of immigration policy as it relates to our workforce (both in skilled trades and professionals who work here on Visas), the cost of childcare and how that impacts the available workforce, and making sure our educational system is preparing students with the soft skills necessary to successfully enter the workforce. All of these conversations are valuable since they provide information to help elected officials from our state advocate for the support and policies that are needed here at home. Senator Peters reminded us that the needs of Michigan are not the same as in other areas, and it’s critical that our elected officials are very clear on the specific needs of their constituents. With the visit from Lt. 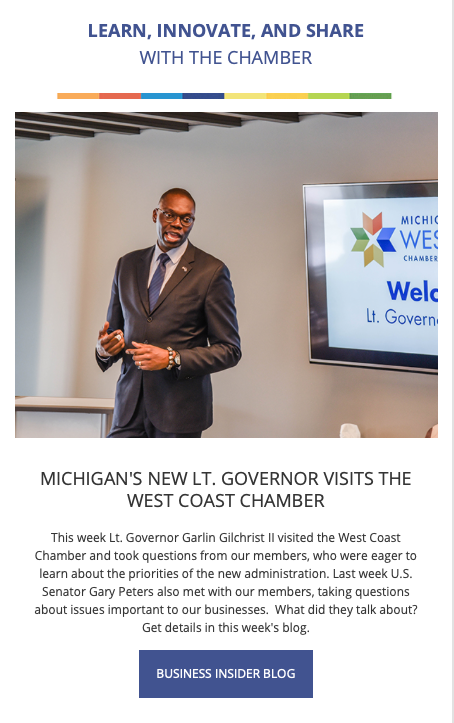 Governor Garlin Gilchrist this week, we were able to focus specifically on what to expect in Michigan with the change in administration. The Lt. Governor spent time answering questions related to Michigan’s plans for education, from pre-K through higher learning. An emphasis was placed on supporting programs for early literacy in order to help Michigan’s youth successfully navigate the educational system and prepare for future careers, as well as on programs to introduce students to careers in skilled trades. Other topics raised by our members were regarding Infrastructure (those roads…), protecting our Great Lakes resource, and trade policies as they relate to the volume of international trade in our state. 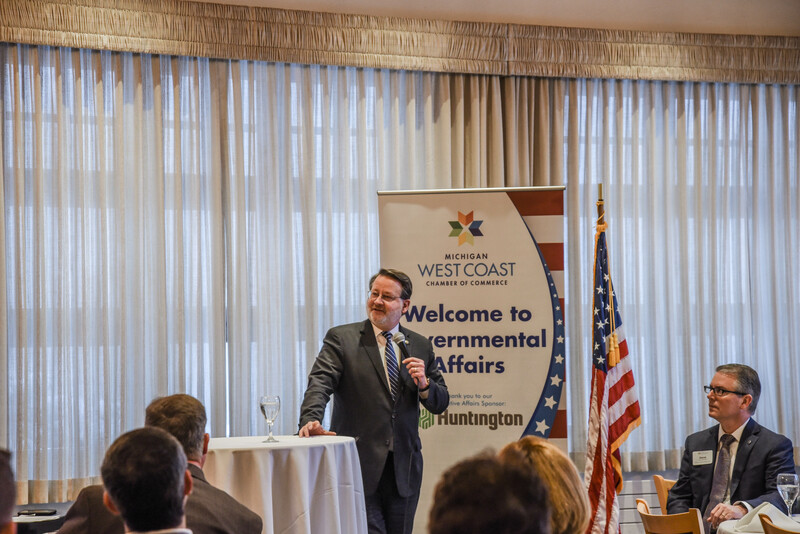 Not only do the members of the West Coast Chamber represent a vast array of industries, from public to private to non-profit, they also represent a diversity in political affiliations. The Advocacy in Action opportunities we offer allow our members to participate in conversations about issues that super cede “politics”, and to press our elected officials to work together to affect policy changes. Lt. Governor Gilchrist described a “posture of partnership” as the philosophy on bridging differences between parties in order to work for the best interests of our state. 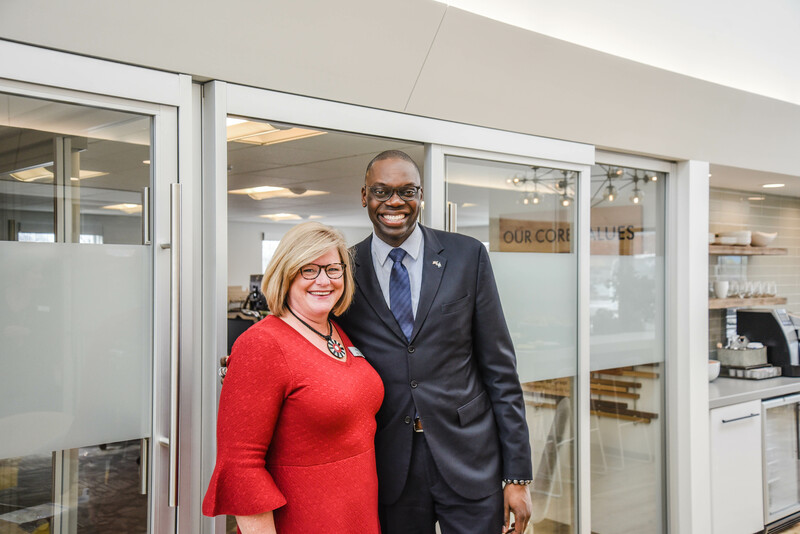 Partnership is a theme we know well in the business community of West Michigan, and the Chamber will continue to be your partner in providing face-to-face opportunities for you to advocate for the resources and policies that make a difference for you. Join us anytime for Advocacy in Action events, and we’ll make sure your voice is heard. Blog Post: "Are you a Voter? Taxpayer? Business Owner? Here's your deep dive on issues that matter to all of us." Friday morning Public Policy meetings are never the same thing twice. Members gather at the standard West Michigan crack of dawn hour to look at real issues that have direct influences on how we operate our businesses and support our community. Within the confines of the Chamber Learning Lab, one can learn about issues from urban planning to immigration to taxation, and any number of issues in between. Last week we took on issues that stretched from our backyard all the way up to policies that affect businesses and taxpayers across the state. First, we took a deep dive, literally, into the millage proposal put forth by the Holland Community Aquatic Center. Jack Huisingh and Bob Miller joined us to fill in the details that go along with the proposal that’s aiming to raise $26 million to invest in upgrading the pool’s aging facility and expand the organization’s programs and services. Fundamental to the mission of the facility is community wellness. A key component of the now 50-year old aquatic center is the public/private partnership that provides free swimming lessons to 3,500 children who attend school in the city of Holland. It’s a program that keeps our kids safe in the water and saves schools the cost of providing the lessons themselves. Adding on to the current facility would allow the center to expand those programs to include schools that they are not able to serve at this time, due to capacity. It would also provide the capacity necessary to allow the public to use the pool on a daily basis. This world class facility is among the top destinations in the nation for competitive swim events. A recent economic impact study revealed that the events held at the aquatic center bring $6.5 million into our community as visitors stay in our hotels, eat in our restaurants, gas up their cars and shop in our stores. These large-scale events provide the funds that allow the aquatic center to be self-sustaining, but there is also a heavily reliance on philanthropy to run the organization, which is no guarantee of long-term sustainability. We went from local to state-wide issues when Poppy Hernandez, the Regional Director of Community Affairs for Governor Whitmer’s office shared the new administration’s budget presentation. The freshly minted budget begins with the premise that Michigan’s general fund was not designed to grow with the rate of inflation and needs to be bolstered to address issues ranging from infrastructure investment to the talent skills gap. The presentation showed that Michigan’s General Fund would be more than $5 billion higher if it had merely kept up with inflation since 2000. The budget is based on the following goals, to be achieved by 2030. 90% of state roads will be in good/fair condition with additional resources provided for local roads. Every community will have clean drinking water. 60% of students will attain post-secondary education, training or certification. Michigan will a top ten state in third grade literacy. Our members posed questions about the proposed gas tax, changes to the taxes on small businesses, and policies surrounding education and early childhood intervention. A major topic of conversation was regarding transparency on allocation of resources and making sure that the money is spent in the places it is intended to fund, and not diverted elsewhere. There will be much more to come regarding Michigan’s budget, and we will continue to provide opportunities for our members to bring their comments, questions and concerns directly to state policy makers. Interested in making these types of connections and voicing your opinion? 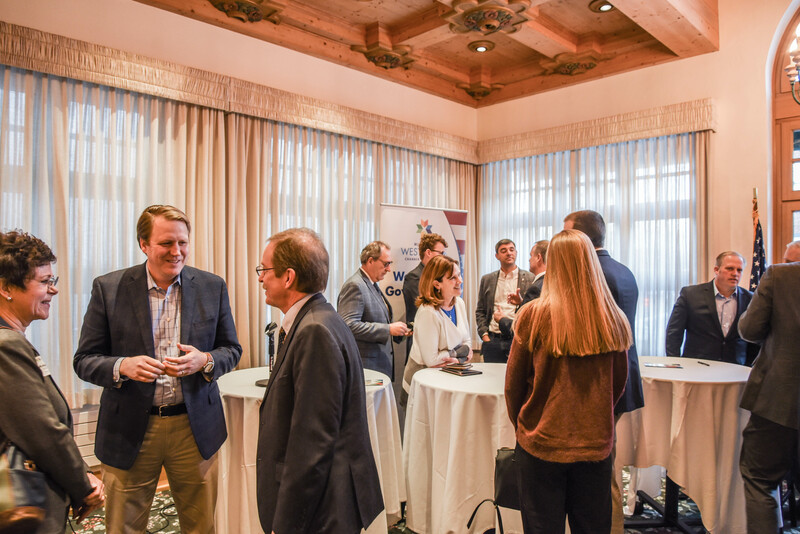 Join us at any Public Policy or Governmental Affairs event, or contact us directly to ask how we can help you connect on issues that matter to your business. 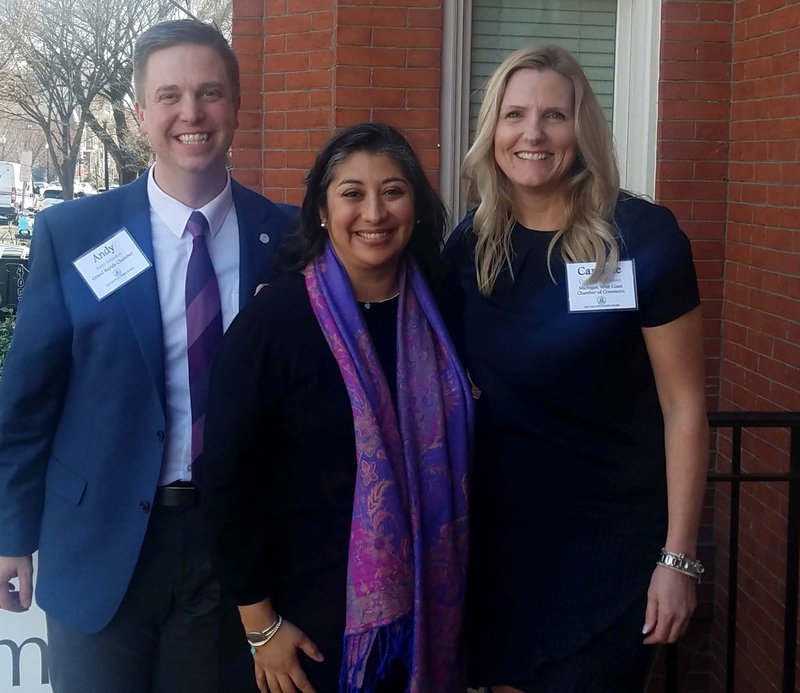 Blog Post: "Advocacy in Action in Washington DC: Part 1"
I’m not a lobbyist by trade, but I do know about the significant issues our local businesses face and have many opportunities to talk about them. There’s not a week that goes by at the Chamber where we’re not sitting down with an elected official, be they local, state or federal to learn about issues that affect our community and to give our members the opportunity to discuss how policies are affecting their businesses. Those issues are then reported out to our members in our Chamber Insider Business Blog on a regular basis, in an effort to keep everyone informed. That type of access, constructive dialog, and regular journaling has given me public policy insights that helped prepare me to join a team of lobbyists and participate in the Great Lakes Metro Chambers Coalition DC Fly-In last week. The Great Lakes Metro Chambers Coalition (GLMCC) is a collective of chambers of commerce across the Great Lakes region that jointly advocate on core policy issues, including water quality, immigration reform, trade, and transportation and infrastructure. Since its founding in 2008, the coalition has become a leading and effective voice on federal policy impacting the Great Lakes region. The West Coast Chamber has been a member of the coalition since 2012. 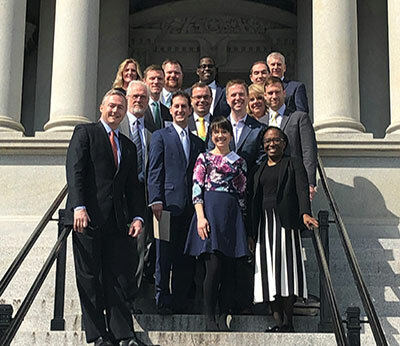 The DC Fly-In brings together lobbyists from Chambers in cities such as Cleveland, Cincinnati, Pittsburgh, Buffalo, Detroit, Youngstown, Traverse City, Grand Rapids and Holland. Over the course of two long days, coalition members discuss strategies to address our common issues, and meet with legislators from the Senate and House, and representatives from the departments of Trade, Education, and Energy, to name a few. It’s an elite opportunity to provide feedback to these key policy makers and help them understand what’s going on with communities and businesses back home, and what we would like to see addressed. The Great Lakes Restoration Initiative (GLRI) is a pervasive issue for all members of the coalition. With President Trump’s budget hot off the presses, there was much to discuss about the announcement that the administration wants to decrease funding by almost $270 million for the GLRI, which is overseen by the Environmental Protection Agency to protect and restore the world’s largest system of fresh surface water. It’s a frustration that funding levels for this program shift up and down from year to year, and the question was raised as to whether we should be asking if Canada should play a role in protecting those waters as well, and whether funding could possibly come from that side of the border. Of positive note was the $75.3 million allocated for the Soo Locks construction project. The U.S. Army Corps of Engineers announced that this allocation would allow the $922 million project to be finished within seven to 10 years of its start date. Two older locks will be replaced with a new 1,200-foot-long lock to allow large vessels to travel between Lake Superior and the lower Great Lakes. The allocation was not expected and is great news for the Great Lakes. At this time, the Appropriations Committee still needs to make the funds available, and there is a letter circulating through the Great Lakes states representatives to ensure the approval goes through. When meeting with Senator Bob Casey of Pennsylvania, he remarked that the number of senators that have stakes in Great Lakes issues is a small percentage of the whole, and that they rely on support from members of the House and other lawmakers that they can pull in to help them advocate. Trade continues to be at the top of many states’ issues lists and discussions included questions regarding the current strategy and timeline to deal with China’s unfair trade practices, tech transfer and theft of intellectual property. While it’s hard to predict how long it will take to make the significant progress the U.S. requires (we asked that question a lot), several senators expressed confidence in United States Trade Representative Robert Lighthizer’s tough approach to negotiations. 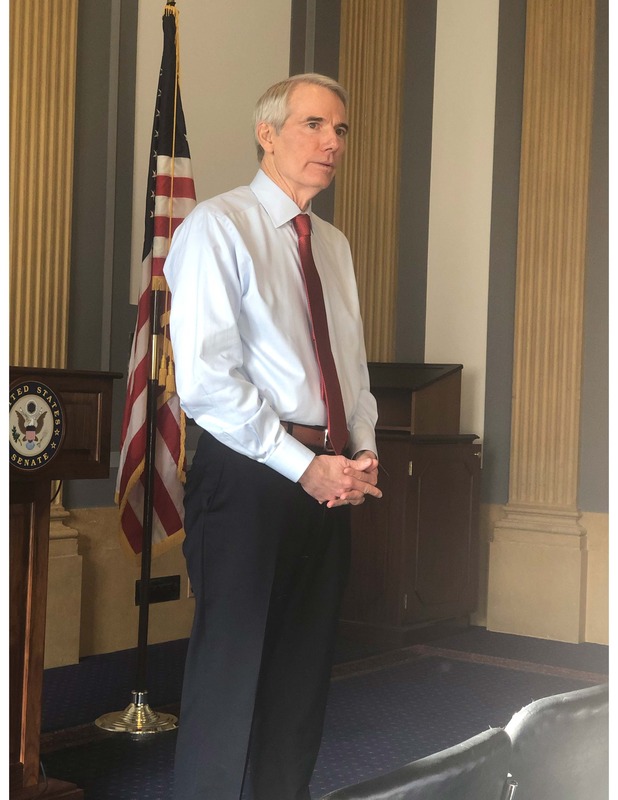 Senator Rob Portman from Ohio has previously held that position and explained to us that Lighthizer is in a very strong position given that he has the full support of the current administration to do whatever is necessary to confront the issue. Trade closer to home was centered around the United States-Mexico-Canada Agreement or USMCA. USMCA was signed by the respective countries in November of 2018 and is designed to modernize the 24-year-old NAFTA (North America Free Trade Agreement). The intention of the new agreement is to rebalance the trade agreement and ensure this is equally beneficial to all parties. USMCA still needs approval from the House and the Senate and getting the votes needed is of primary importance. Deputy US Trade Representative C.J. Mahoney explained that USMCA also represents an alliance of North American countries which gives us more strength to fight unfair trade practices around the world. The challenge right now is educating businesses and elected officials on the differences between NAFTA and USMCA so that there’s clarity about how USMCA will enhance the United States’ position in trade. Look for more information to come. Your time is valuable, and I’ve got a lot more to cover, so I’m breaking this DC report into two installments. Digest this information and come back next week for more updates. Next week’s blog will include briefings about the GLMCC’s conversations on education and workforce development, immigration and infrastructure. 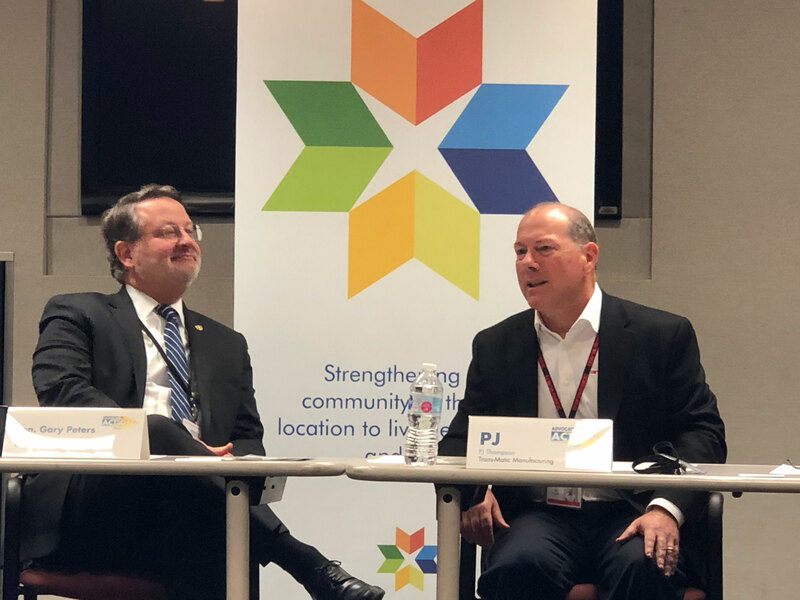 In addition to reports on issues I hope you’ve also learned that the West Coast Chamber prioritizes keeping the pulse on the topics that matter to our community and our businesses and are always at the ready to connect you to people and resources to make public policy work for you. 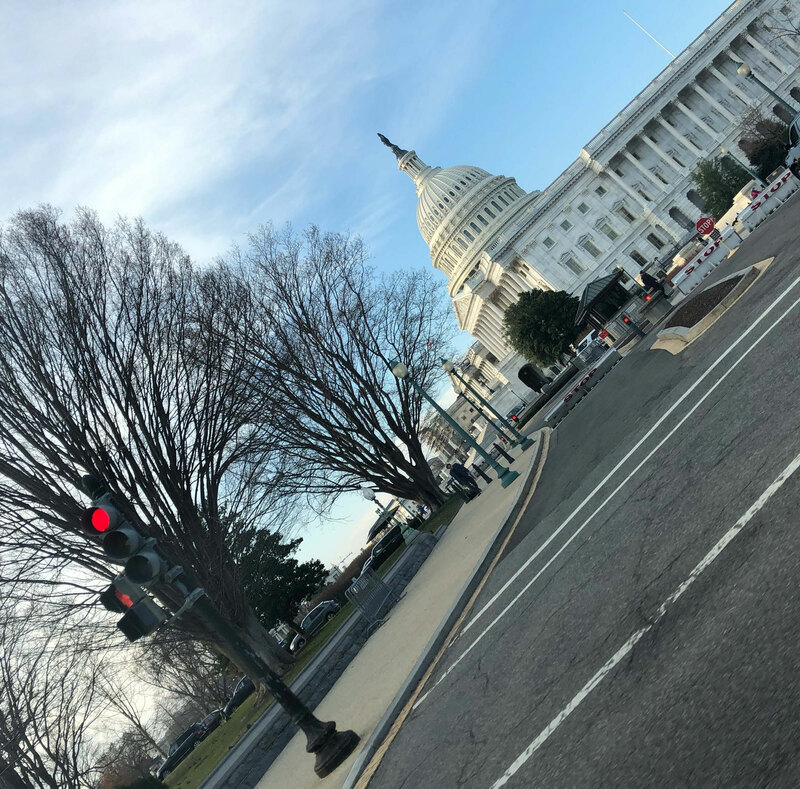 Blog Post: "Advocacy in Action in Washington DC: Part 2"
A major focus of discussions at Great Lakes Metro Chambers Coalition’s DC Fly-In revolved around Talent. 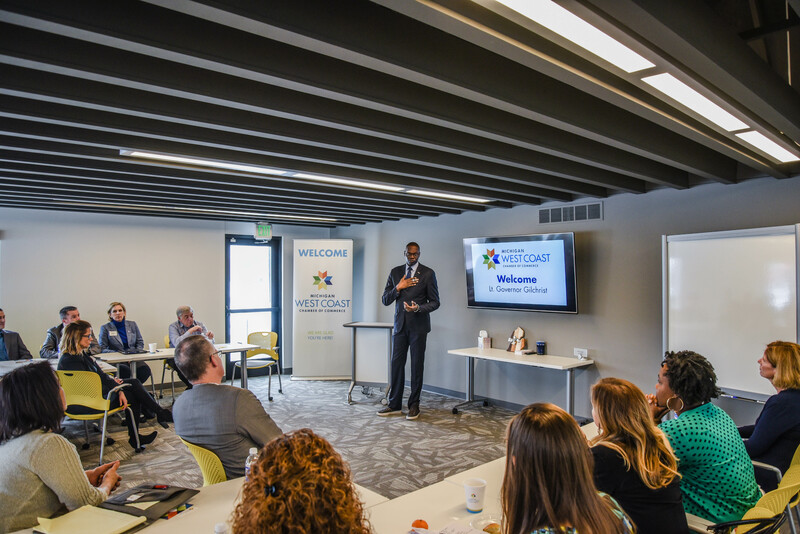 Workforce development is a topic that crosses most of the industries in our country, although different areas of the Great Lakes Metro Chambers Coalition feel it in different ways. Common pain points include a lack of candidates with training in skilled trades, inadequate understanding of the soft skills necessary to be successful, and an underdeveloped pipeline to expose children to a variety of career paths at an earlier age. Dr. Casey Sacks, Assistant Deputy Secretary of Education joined us to address the Department of Education’s philosophy of creating multiple pathways to success for all students. This means “rethinking our educational systems” to better align the needs of the business community with the programs offered by schools from K-12 through community colleges. This “employer-led” approach to workforce development resonates with many Chambers, as it utilizes the data (both factual and anecdotal) that Chambers and Economic Development organizations collect from members on a regular basis. Of particular note is the 2018 reauthorization of the $1.2 billion Perkins Act, which provides funding for Career Technical Education (CTE) programs and job training for students. In the reauthorized version, states are granted greater authority to set their own CTE goals, eliminating a previous negotiation process with the Secretary of Education. To set these goals, states must do a needs assessment of what skills are needed in key industries and use that data to help community colleges develop students with skills that match the needs of existing and future careers. The Perkins Act keeps businesses at the table to help validate the skills that are taught. Discussion of the Higher Education Act shed light on the issues with the Federal Student Aid program, FAFSA. For populations in certain demographics, the complexity of FAFSA applications creates a barrier to receiving aid and can widen the socioeconomic gap by restricting opportunities for education for students in those populations. Another issue noted in the area of higher education is the relationship between the funding responsibilities of state governments versus the federal government where funding is concerned. The federal government is looking for more accountability from the states. Workforce development issues are also linked to the areas of Transit and Immigration. When assessing the talent pool in a given area, the access to reliable transportation to commute to work is a pain point. From a historical perspective, our transit systems were originally designed to transport workers into the downtown areas to work. Over the decades, the expansion of commerce and manufacturing to more suburban and rural areas has not been matched with an expansion in modes of transportation, nor in an increase in routes to deliver workers to the location of their jobs. This places a burden on both employer and available worker and places a roadblock in connecting them for employment. From an Immigration perspective, the topic of H-1B Visas was a prominent concern for employers and communities with a large immigrant workforce. Employers with a highly educated workforce recruited from around the globe report losing employees who aren't able to attain permanent citizenship. 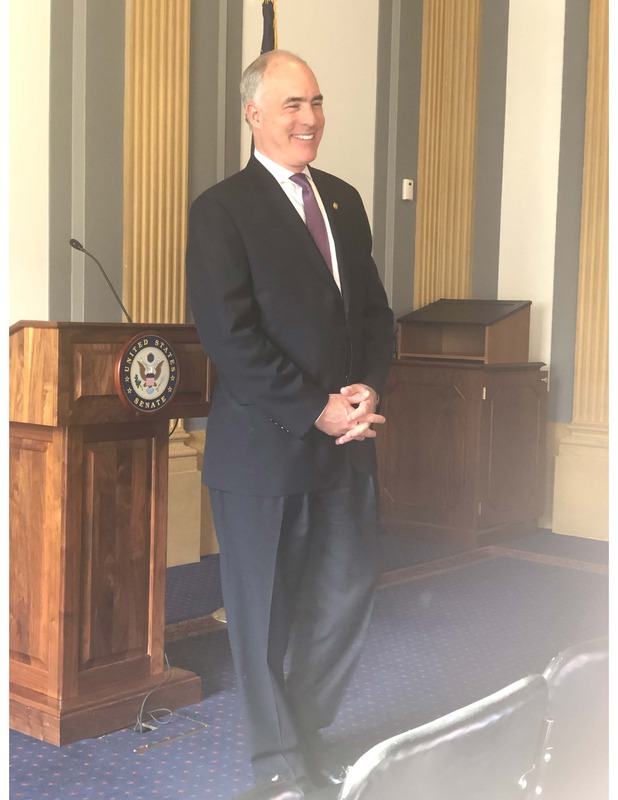 In a conversation with Senator Bob Casey (PA), he commented that the pathway to citizenship leaves employers in a position of not being able to provide predictability or stability for their employees. When going through the process, which takes several years, an employee cannot change jobs, even to be promoted within the same company. Changing of status in any way requires the applicant to start the citizenship process back at the beginning, which leaves many stuck in positions for which they are far overqualified, and without opportunity for advancement or upward mobility. The lengthy citizenship application process leaves employers and workers in a perpetual state of insecurity of work status. When permanent residency is denied to an employee who has been with a company for a number of years on an H-1B Visa, the training and investment in that employee is lost. Consider the innovative research brains that vacate our research institutions when they are sent back to their countries of origin. That’s a loss for our labs and a gain for someone else’s. The United States currently makes 140,000 green cards available every year to employment-based immigrants, including many who first come here on temporary H-visa. The law, however, provides that not more than seven per cent of these green cards can go to nationals of any one country even though some countries are more populous than others. Because of this seven per cent limit, for example, a Chinese or Indian post-graduate may have to wait half a decade or more for a green card, much longer than a student from a less-populated country. Recent legislation proposed in both the House and Senate (the “Fairness for High-Skilled Immigrants Act”)could cut the per-country green card limit, and benefit employers and employees alike. In certain communities, and in certain industries, the size of the immigrant work force is at such high levels that the economy of the entire community would be destabilized should all immigrants be returned to their countries of origin. For example, consider the impact on our country’s agriculture ecosystem should the majority of the workforce be deported. There is also concern of the loss to the GDP to the countries of origin as workers here are no longer sending money to their families, as well the inability of those countries of origin to reabsorb so many returning citizens, thus also destabilizing those countries as well. From a travel and tourism perspective, GLMCC members reported conferences that would have been held in their cities being moved out of the country since prominent speakers from countries outside of the U.S were denied Visas to visit and speak. That’s money that could be spent in their communities. Immigration is clearly a topic with both micro and macro implications. Every speaker we met agreed that the Immigration system is broken, and the issues it raises from a business and economic perspective are only one piece of the puzzle.